2014 is well underway, and I feel like I'm lacking in resolutions. How about you? I think January naturally lends itself to moderation after the excesses of the holidays, but I don't know that the month needs to turn into a let's-all-feel-guilty-about-gluten, -dairy, and -alcohol party. Because a) that doesn't sound like a very fun party, and b) we carry enough guilt around with us without setting ourselves up for failure at the start of the year, right? Or maybe that's just me? Yes, there is something incredibly rewarding about the post-holiday fridge clean-out, but that has less to do with giving-up-the-pie-for-breakfast habit and more to do with being able to find the milk on the shelf again. What does any of this have to do with cancer? Not much, unless you believe pumpkin pie gives you cancer. Since my diagnosis, I have gotten scores of advice regarding what to eat (or not), supplements to take, whether it's okay to have dessert or a glass of wine, all in the name of curing my cancer. There have been studies saying drinking more than three glasses of wine per week increases one's risk for breast cancer, and then studies saying survivors who drink slightly more are at a reduced risk for death from cardiovascular disease. No one tells you how any of these applies to Stage 4 patients. There are also studies suggesting higher starch intake is associated with increased breast cancer recurrence rates, so maybe I should resolve to avoid potatoes? I used to get in a panic about it, because what if I did this to myself? What if I could make this go away based on what I ate? And maybe that is a possibility, but as a cancer patient, I've also had to balance my diet choices with what is actually palatable and with maintaining my weight, which I'm afraid would drop dangerously low if I cut out all carbs. For those of you keeping track, I'm proud to say I'm up 13 pounds from my lowest point last year. The holidays had their work cut out for them and they didn't disappoint. I also struggle with the idea of how moderation fits into any diet that omits any food group in its entirety. Then again, if I knew going dairy-free or gluten-free or potato-free would cure cancer, I’d sign on in a heartbeat. For now, I just try to limit my intake of processed foods, drink 3 glasses or less wine a week (most weeks), and eat lots of organic veggies. For now, it seems to be working. For now, my blood work and weight and energy levels are pretty good. After hearing it enough from various sources, though, I brought up the question of whether I should avoid all sugar to my oncologist. He told me, "All things in moderation." He explained he'd be more concerned about my sugar intake if I was obese, since fat cells produce estrogen. Because estrogen can fuel some breast cancer, including my own, excess weight can be dangerous. 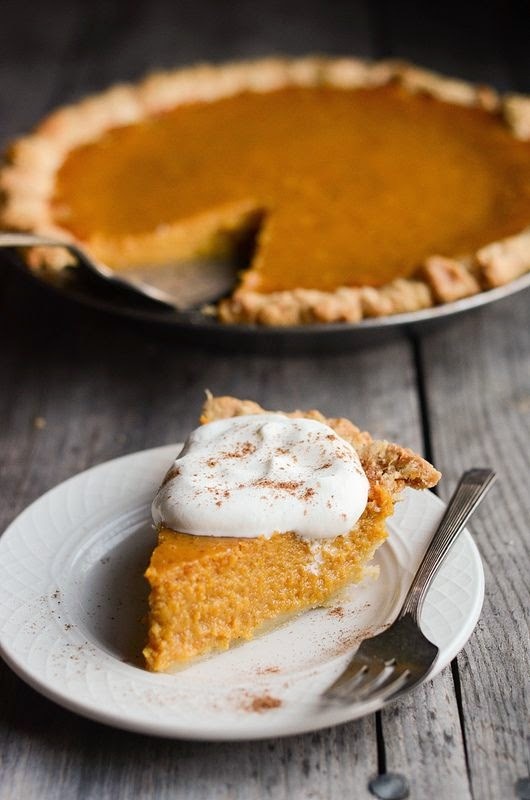 Otherwise, nothing wrong with a little pumpkin pie now and then. So I haven't come up with much in the way of resolutions, but I am a sucker for a clean slate (or fridge, as the case may be), which for me is the beauty of a new year. That we get to let go--of excess, of guilt, of whatever isn't serving us or helping us be our best selves. To a small degree, we give ourselves the freedom to start over. For me, this year anyway, my goal is to be gentler with myself. Think of it as an anti-resolution. (I'm starting a trend here, I can feel it.) My goal is to not feel guilty about having a scone for breakfast or sharing a quesadilla with Quinn for dinner--in fact, to enjoy it for who I get to share the meal with. To not beat myself up for not writing as much as I'd like, since it would often come at the expense of putting Quinn to bed and I don't want to miss that time, although I am trying to finish my book this year. To not feel so abnormal when I get fed up with my two-year-old's defiance or lose my cool and yell. Turns out, other moms feel this way (and yell at their kids sometimes), too. I've only been at it a week, but somehow, by being gentler on myself, I've found more space to breathe, which in turn (I think) is helping me be a kinder, gentler parent and maybe even spouse. After years of practice, I'm finally, finally able to carry a little more of my yoga off the mat and into my everyday life (the trick is in the breathing, really). I have a feeling 2014 is going to be a good year. Tell me, what are your resolutions (or anti-resolutions) for the year? I like the way you think. I do! I guess I'm an anti-resolution kind of gal too... I often wonder just why it's so hard to be gentle with ourselves. When you think about it, we should be most gentle with ourselves shouldn't we? Usually it's the exact opposite. Nice post. Best wishes to you in 2014. And good luck with that book! Thank you, Nancy! All the best to you this year and beyond, too! I certainly hope writing and attitude make a difference. I feel like they do, anyway. Love to you, my friend.